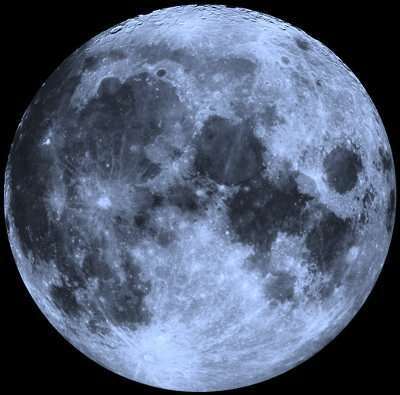 Space: VIDEO: Full Moon Tonight Is A "Blue Moon"
VIDEO: Full Moon Tonight Is A "Blue Moon"
CAPE CANAVERAL, Florida - There will be a Full Moon tonight - but not just any Full Moon - it is a Blue Moon that is also known as a Thunder Moon or Buck Moon. When can I watch the Blue Moon tonight? This Full Moon begins with a moonrise over the Atlanitc Ocean at 7:34 p.m. Eastern Daylight Time on Thursday, July 30, 2015 (with a slight deviation in time depending on your exact location along Florida's East Coast). The Moon will be technically full at 6:42 a.m. EDT the following Friday morning on July 31, 2015, and will be 99.8% full at 1:12 a.m. EDT during the meridian passing. Where can I watch the Blue Moon? The Full Moon can be seen from anywhere on Earth, unless there is local cloud coverage. For those planning a stroll along the beach to watch the Full Moon, it comes with a 4-foot high tide that will occur around 7:53 p.m. EDT. How often do Blue Moons Occur? A Blue Moon is the second full moon in a calendar month. Full moons are separated by 29 days but most months are 30 or 31 days long - so it is possible to fit two full moons in a single month occasionally. This happens every two and a half years, on average. The phrase "Once in a Blue Moon" is commonly known to mean something rare and offbeat because of the rare occurrence of a Blue Moon. Will the Blue Moon Appear Blue? The date of a full moon doesn't affect the full moon's color. The Full Moon on July 31, 2015 will be pearly-gray to most locations on Earth, as usual. According to NASA, the key to a moon appearing blue is to have lots of particles slightly wider than the wavelength of red light (0.7 micron)and no other sizes present in the air. This is rare, but volcanoes sometimes produce such clouds, as do forest fires. In California, there will be several wildfires still burning on July 31, 2015. If any of those fires produce ash or oily-smoke containing lots of 1-micron particles, the Blue Moon there could appear blue. More likely, the Moon will be red. Ash and dust clouds thrown into the atmosphere by fires and storms usually contain a mixture of particles with a wide range of sizes. Most are smaller than 1 micron, and they tend to scatter blue light. This makes the Moon appear to turn red. Red Blue Moons are far more common than blue Blue Moons, according to NASA. Humans did see blue moons almost every night when the Krakatoa volcano exploded in 1883 with the force of a 100-megaton nuclear bomb. Plumes of ash rose to the very top of Earth's atmosphere. Some of the ash-clouds were filled with particles about 1 micron wide - the right size to strongly scatter red light, while allowing other colors to pass. White moonbeams shining through the clouds emerged blue, and sometimes green. People also saw blue-colored Moons in 1983 after the eruption of the El Chichon volcano in Mexico. And there are reports of blue Moons caused by Mt. St. Helens in 1980 and Mount Pinatubo in 1991. If it isn't blue, why is the second Moon in a month called a Blue Moon? The modern definition began in the 1940's. Back then, the Maine Farmer's Almanac offered a definition of Blue Moon so convoluted that many astronomers struggled to understand it. It involved factors such as ecclesiastical dates of Easter and Lent, tropical years, and the timing of seasons according to the dynamical mean Sun. In an attempt to explain blue moons to laypeople, Sky & Telescope published an article in 1946 entitled "Once in a Blue Moon." The author James Hugh Pruett (1886-1955) cited the 1937 Maine almanac and opined that the "second [full moon] in a month, so I interpret it, is called Blue Moon." Although it was an incorrect interpretation, it could at least be understood by everyone. And the modern definition of a Blue Moon was born. Why is this Full Moon also called a Thunder Moon or Buck Moon? Article based on NASA publications.